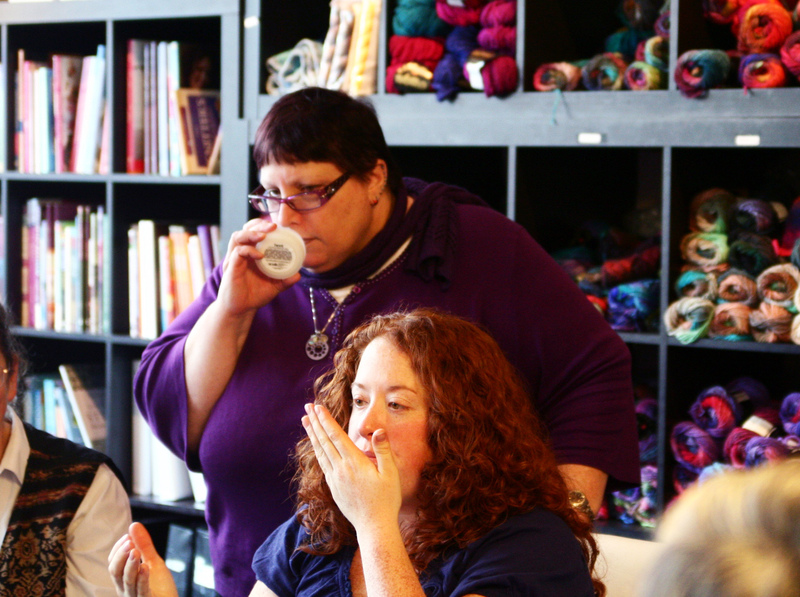 Amy Singer, editor and writer at knitty.com often does reviews on new yarns and knitting accessories. 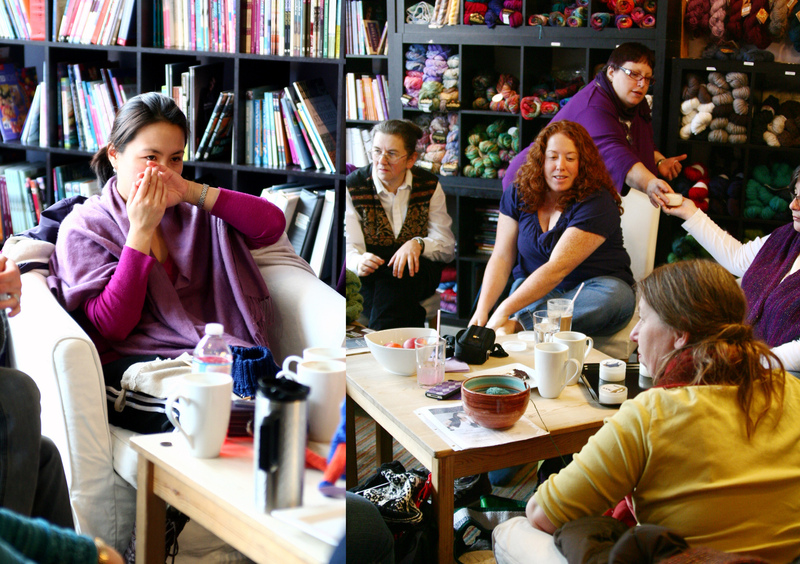 We joined her last month at the Purple Purl as she and a group of reviewers tried out our newest product, Heel. 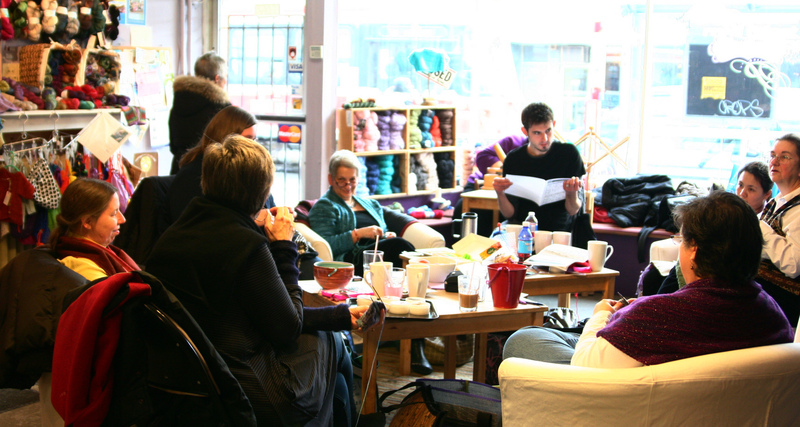 All of our reviewers came with their current knitting projects and eagerly waited to find out what they were going to test this week. We received a lot of great feedback. 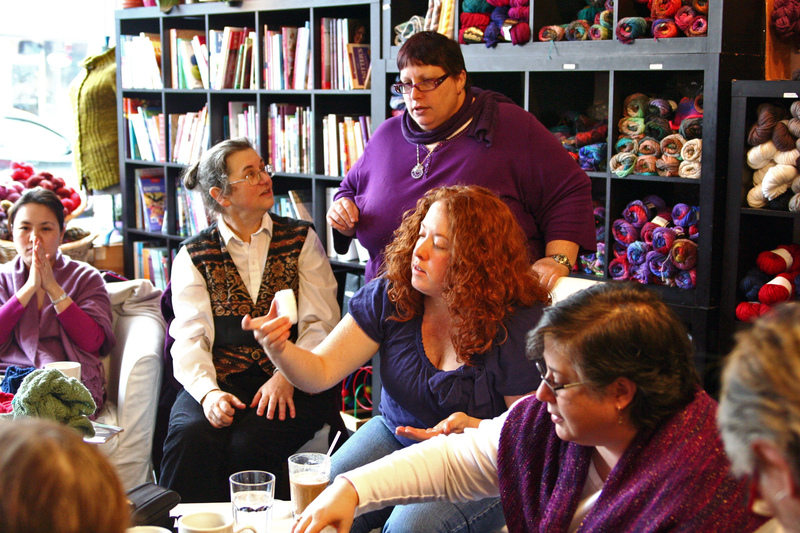 You can find Amy Butler’s review here. I’ve summerized a few of the key comments that we received. Thank you so much to all the lovely reviewers. If you’ve tried Heel, we’d love to hear your thoughts on our newest product.